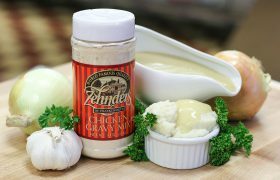 Cook like a professional! 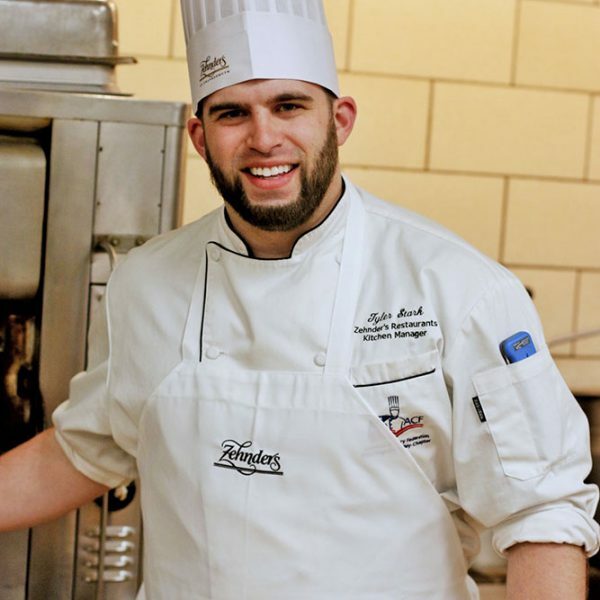 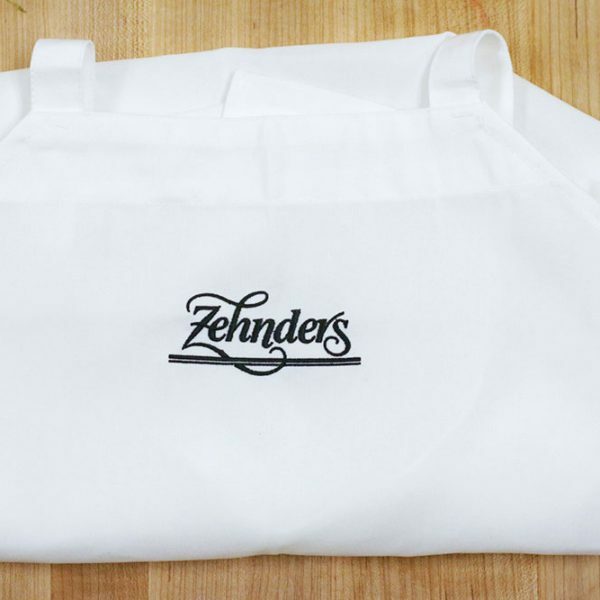 Made from 100% polyester, Zehnder’s logo apron is durable, adjustable and machine washable for the chef in your family or makes a great gift. 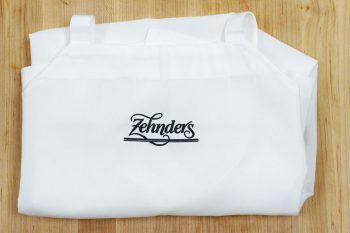 One apron, white with a black Zehnder’s logo. 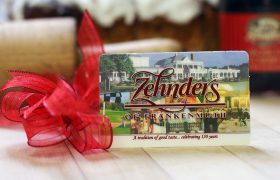 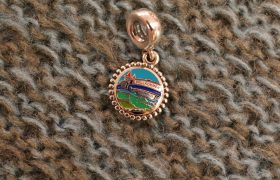 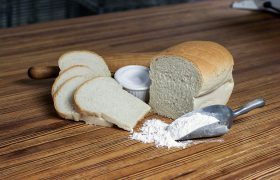 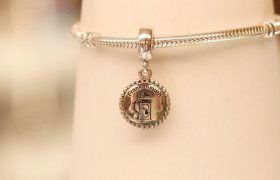 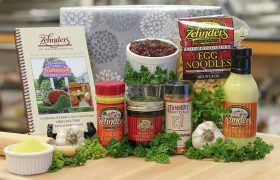 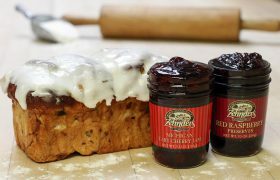 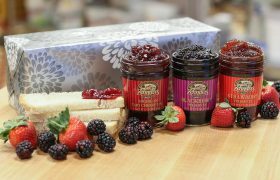 Be the first to review “Zehnder’s Apron” Click here to cancel reply.